African Investments and Business Forum in Algiers: 800 African businessmen expected - The Maghreb Times ! 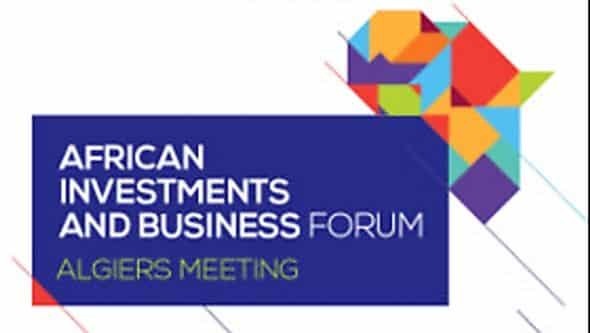 ALGIERS- Nearly 1,000 participants, including 800 businessmen, from more than 40 African countries will participate in African Investments and Business Forum in Algiers from 3 to 5 December, said the Ambassador Adviser at the Ministry of Foreign Affairs, Smail Benamara. The Forum will be also attended by representatives of international financial institutions, like the world Bank, the African Development Bank, the Arab Bank for Economic Development in Africa Development, the Islamic Development Bank and several African institutions, he said. About one hundred foreign journalists have been accredited to cover the event, he added. The Forum aims at boosting economic and trade cooperation between Algeria and African countries up to a level commensurate with Algeria’s political action in the resolution of conflicts in the continent, he stressed. The inter-African trade does not exceed 10% of the continent’s overall trade volume, against over 80% of inter-European trade volume and 60% of inter-Asian trade volume, he noted. Algeria seeks to build an industrial partnership with African countries, especially as many of them have made huge progress in the fields of new technology, energy and mining industry, he added. An exhibition of national production will be held on the sidelines of the Forum, he said, adding that the opportunity will be given to the Algerian operators to present their products to their African counterparts with a view to concluding deals or even partnerships. The Forum is organized by a committee made up of representatives of the Prime Ministry and the ministries of Foreign Affairs, Industry and Trade, as well as of the Forum of Algerian Business Managers (FCE). The Committee has defined five priority sectors for a new economic dynamics between Algeria and Africa, namely agriculture, energy, digital technology, infrastructures and human resources. Previous articleIs a growing interest in Israel on the rise in Morocco? .